The world of work is going through a large-scale transition with digitization, automation, and acceleration. While most of us struggle to keep up, the workforce is already evolving to the next big thing. How can companies’ upskill and reskill their workforces to keep up? The most forward-thinking companies are becoming proactive in adapting to the change and focusing on skills. Using Skills Quotient, you can understand and analyze the skills your employees have versus what they need for the future. Successful companies are using ‘Skills Quotient’ to integrate skills and learning innovation into the overall company business strategy as a key competitive advantage. 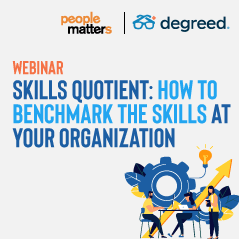 This webcast will feature experts who will share their experience of benchmarking skills to help organizations become future ready. Why is it necessary to benchmark skills? How are progressive organizations benchmarking skills? 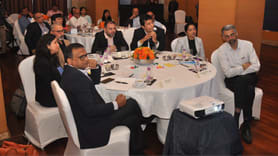 What are the common challenges that companies face while engaging in this exercise? What is the impact on the L&D strategies and learning retention?